What if I invited you to a place better than anywhere else you’d ever been? What if you would be guaranteed protection and provision for all your needs? 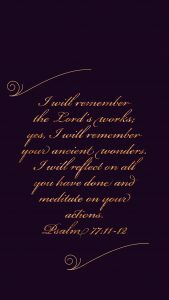 You would know favor and honor there, and no good thing would be withheld from you. In this place, like none other, you would be blessed. Would you want to know where this magical place was? Would you even believe such a place existed? Now, what if I told you this place was the church, God’s house? What happened just now when you read that sentence? Take a minute to consider your initial reaction to finding out that I am talking about the church. Sadly, I think many of us do. So, what are we to do with Psalm 84 and this robust declaration of how great it is to be in the house of God? it is really a person: God Himself. 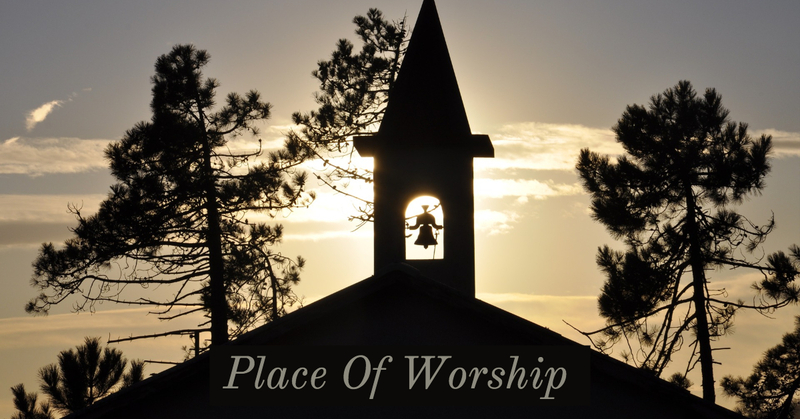 When the psalmist speaks of God’s “dwelling place, courts, altars, and house,” he could be referring to actual places: the tabernacle, temple, Zion, and today’s church building. But, if you read this psalm closely, you will note the psalmist is talking LESS, if at all, about a place and more, if not entirely, about a Person. The longing is for God Himself. I liken this to one’s purchase of concert tickets to see her favorite musician. Is it about the concert hall we grow excited? No. It’s who the concert hall will host. The concert hall becomes a means to an end, that of being as close as we can to our favorite musician. we don’t have to trek to a place to be near to God. I Corinthians 3:16 tells us we are now God’s temple, that God’s Spirit dwells within us. So, to be near to God as described here in Psalm 84, to long for God’s dwelling place is really to long for God Himself who resides within our very beings. God’s Word exhorts us to meet together with other believers (Hebrews 10:24-25). We need Christian community for both what we have to gain and give in that context. Scripture is clear about committing ourselves to a local gathering of believers in a covenantal way. What that looks like for each of us may differ wildly, but the command for believers to be the church and live in community with one another is clear. What we need to keep in mind is when we think about “church” being the place we meet with God, we need to not limit “church” by signage. Don’t assume that a sign outside of a building is proof of God’s presence working within its walls. Likewise, the absence of signage does not equate the absence of God’s profound Presence and the ways He is choosing to move within a body of committed believers. When it comes to church and any hurt or disenchantment we may harbor in our hearts concerning it, we must remember that we are hurt by humans, disillusioned by institutions, and left longing because our desires are misplaced not, however, because God is not worthy of the worship and adoration as described in Psalm 84. The One Who bestows favor and honor upon us. Who perfectly provides and protects us according to His wisdom. Who does not withhold good from us, can be found, trusted and adored. as we gratefully enjoy His abiding Presence! give thanks for God’s house! Give out of the gifts God has generously deposited in you. Remember that the place we may actually come to love is really because a Person dwells there, the Person of Christ, His Spirit and God our Father.